The new visitors' center in the Governor's Mansion. 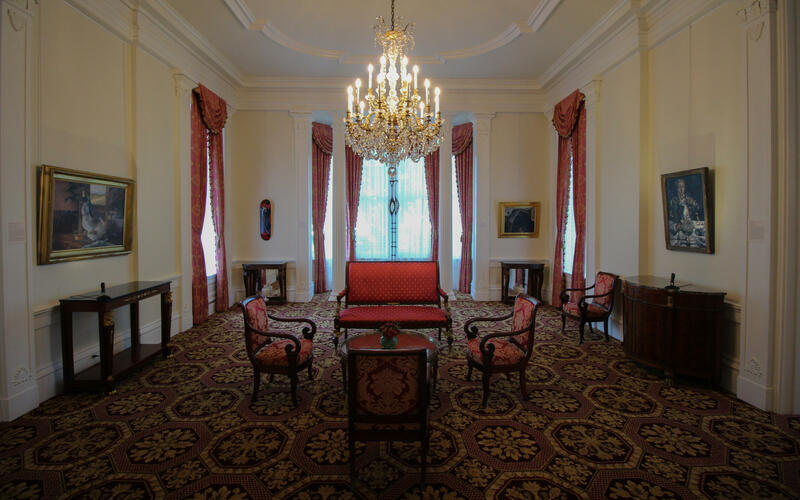 One of numerous parlors in the Governor's Mansion. The formal dining room in the Governor's Mansion. 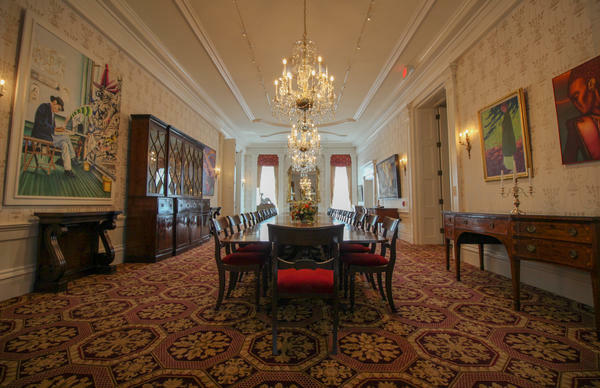 The table seats 24. 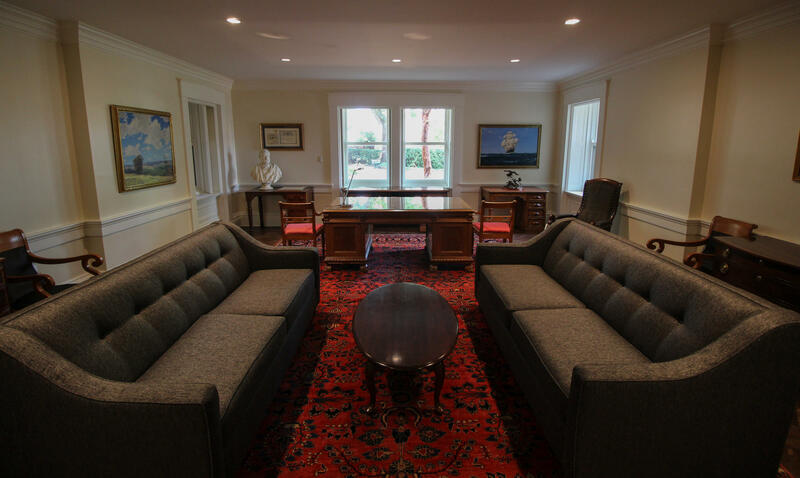 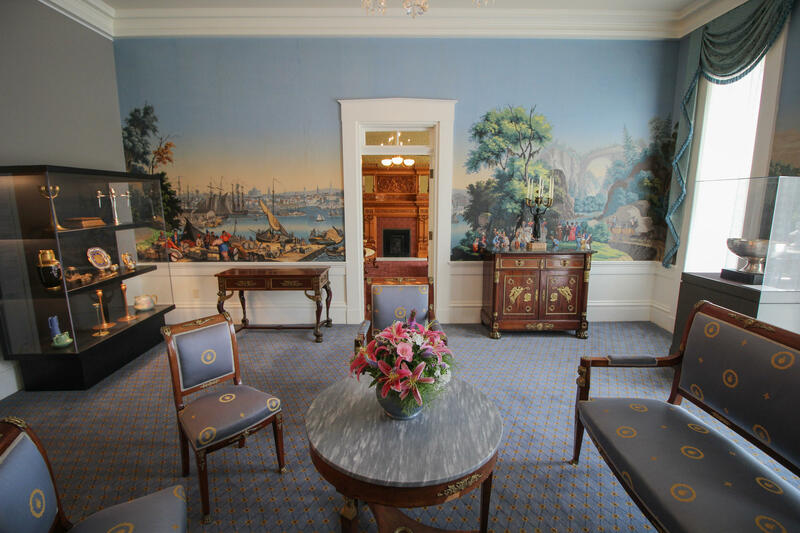 There's ample space for entertaining in the Governor's Mansion. 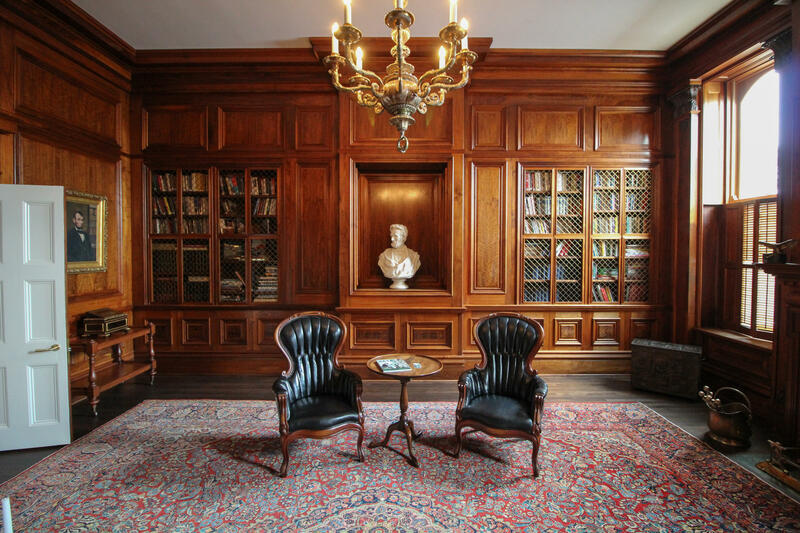 Shutters were removed from some of the windows to allow more light into the library. 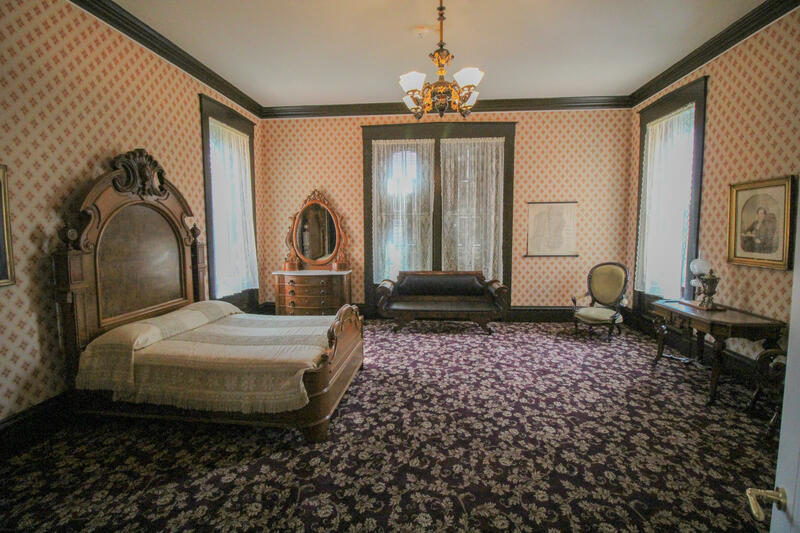 A bedroom in the Governor's Mansion. The designers decided to restore the building to how it might have looked in the late 1800s. 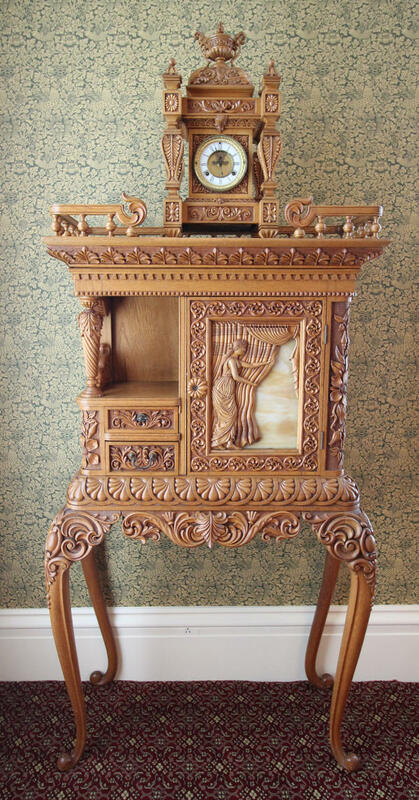 A handcarved piece of furniture by William Bartels. 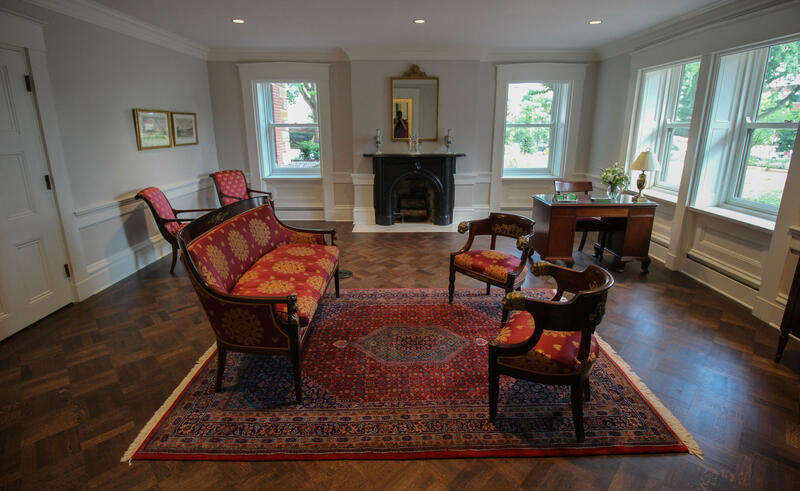 It's part of two room's worth of furniture used by Gov. Altgeld in the Illinois Building at the World's Columbian Exposition in 1893. 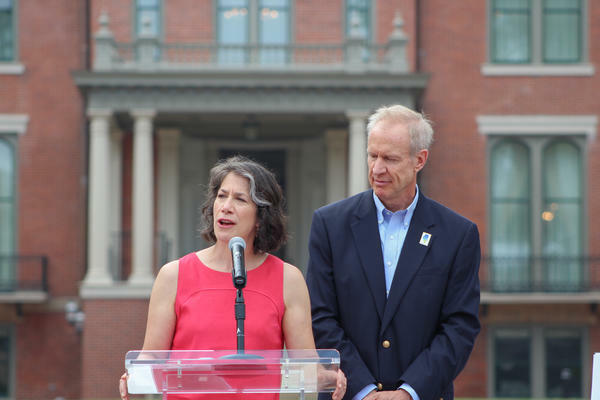 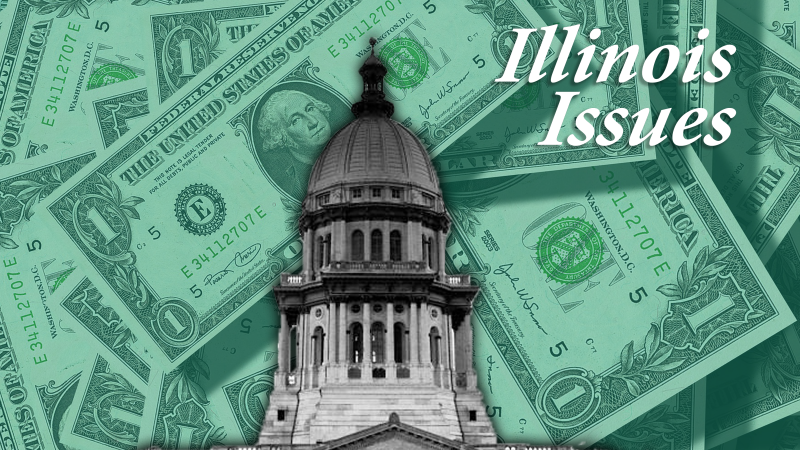 First Lady Diana Rauner chairs the Illinois Governor's Mansion Association and helped plan the renovation. Justin Blandford, at podium, was recently named curator of the Illinois Governor's Mansion. 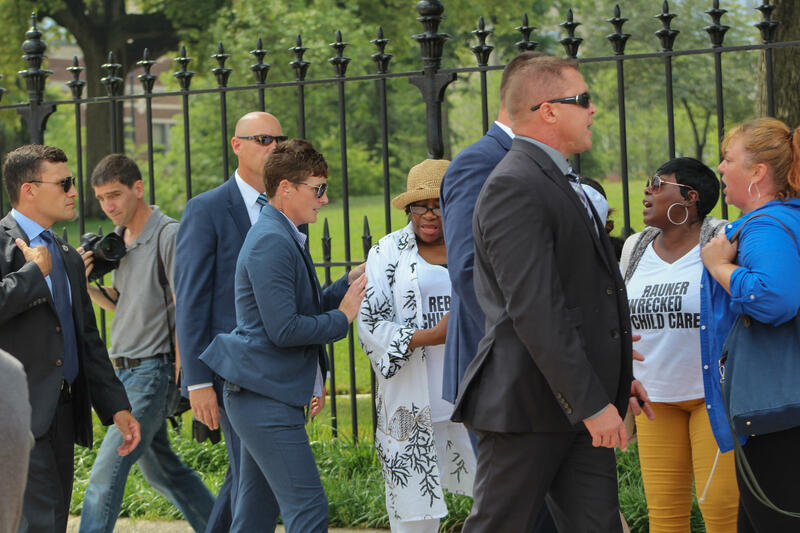 Protestors from SEIU were led out by members of the governor's security detail. 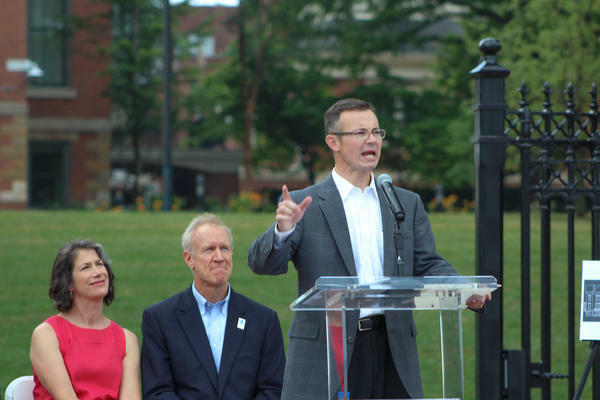 The union members had begun chanting during the dedication ceremony. 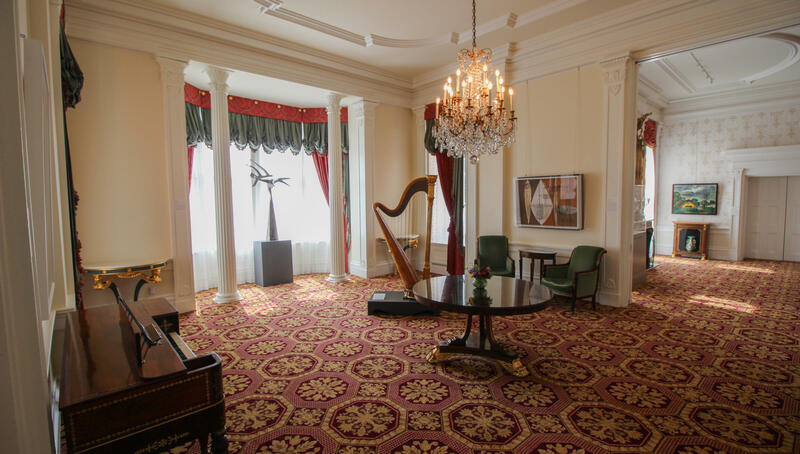 Renovation of the Governor's Mansion is said to have been completed with only privately raised funds. 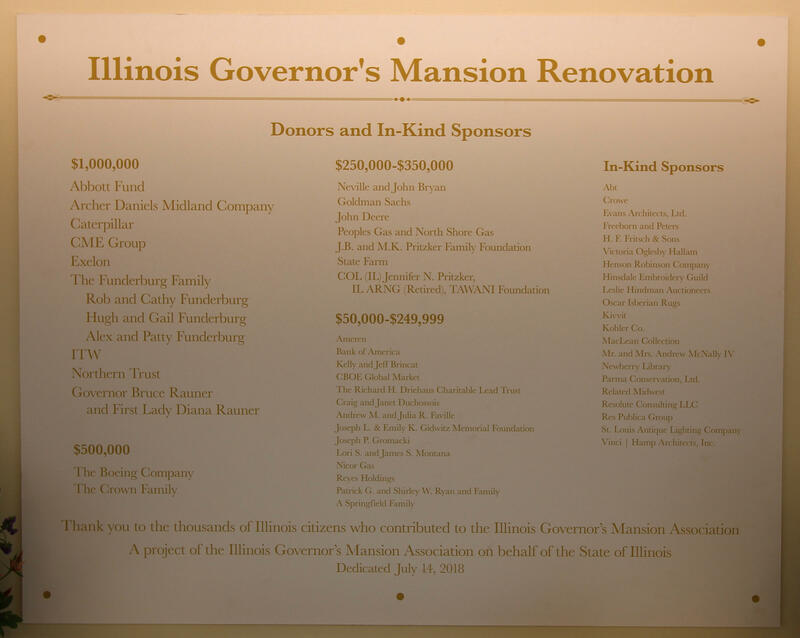 This donor plaque is just inside the entrance to the new visitors' center. 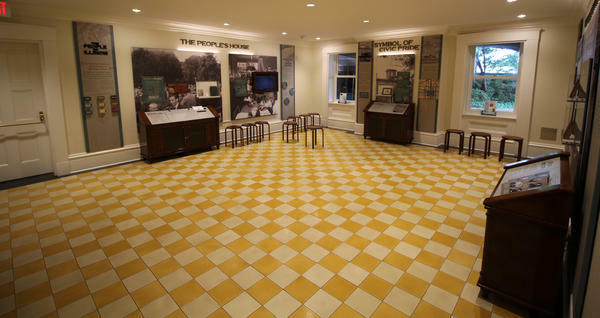 It also involved the creation of a visitor’s center and making the building A-D-A compliant.